Anyone who has not seen them or received automated phone calls about them must have been on an extended holiday on Mars for the last year or two. We are of course referring to all those advertisements and messages telling us all about the compensation that the banks are waiting to pay us for inappropriate financial products that they sold us or rather, mis-sold us, in the past. What these conveyors of good tidings fail to mention is that, aside from any commission they charge for successfully applying for compensation, there are also elements of redress that are subject to tax. With so many individuals and organisations now receiving compensation payments for everything from PPI to interest rate swaps, the tax services team at leading accountants, Baker Tilly, have produced a useful set of guidelines as to what items are likely to attract the attention of HMRC. Of much more relevance to the business community is the tax situation surrounding interest rate hedging products. Tax services specialists tell us that some 13,500 different companies and partnerships have received offers of redress where they have been sold inappropriate products in this category. Over 8,000 of these bank customers have so far accepted their offers worth a total of £ 1.2 billion so they clearly need to know what the tax implications are. 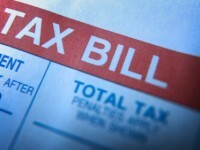 Tax services experts say that compensation packages normally comprise 3 separate elements : The basic redress consists of the difference between the actual payments made by a business in respect of the mis-sold product and what it would have paid either with an appropriate alternative compliant product or without the product altogether. The tax services professionals explain that the second element of compensation relates to consequential losses arising from not having the use of money that would otherwise be available to the business. Finally, the third component is the standard 8% p.a. interest on the money lost to the business by it not being available for trading or other purposes. Many customers could find that they receive as much as 40 % of the basic redress in cumulative interest. As far as the tax treatment of these sums is concerned, providers of tax services advise that most, if not all, of the whole compensation package will be taxable in one way or another in the year that it is received. The first two elements will normally be taxable since most businesses will have claimed tax relief in the past in respect of payments to the bank classing them as an allowable business deduction. However, those working in tax services state that the third and final component of redress payments, the compensatory interest, should be treated as non-trading income and accounted for separately. The tax services providers state that, in certain circumstances, the tax treatment might vary and that professional advice needs to be taken. Examples include businesses where the financial product was associated with a non-business loan or where the fair value of any hedging product was incorporated into the accounts. If you have any queries regarding the tax treatment of compensation payments for mis-sold financial products, you are invited to contact Baker Tilly’s specialist tax services department who will be delighted to assist.